REGISTER FOR FREE | ASK A QUESTION? We Build native Android and iOS mobile apps for your e-store in less an a hour, powered by central mobile apps platform. Unlimited product listings, unlimited push notifications, real-time sync with your Shopify store, and a stunning and intuitive interface ensured by the best-in-class UI/UX, means while your users love your mobile app, you’ll never again have to worry about inventory management and get to witness your business grow. Try us, get your mobile app today. Book a demo and try your app today. 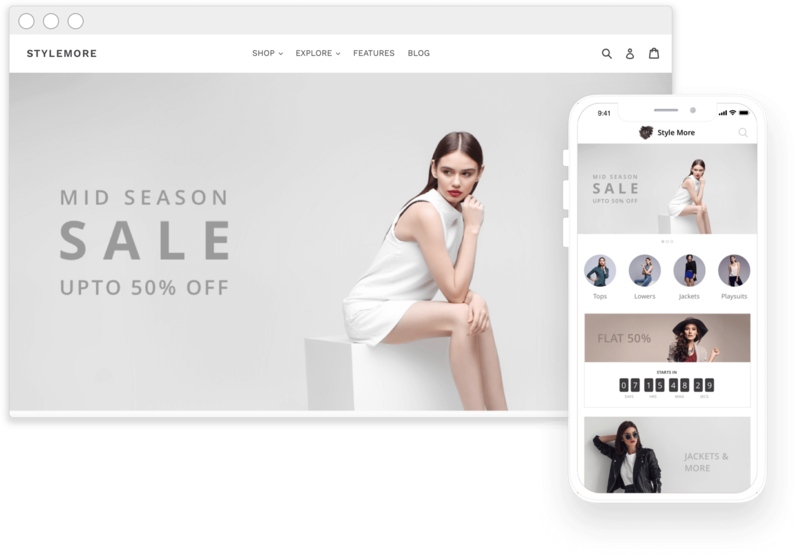 Shopify is the leading e-commerce platform that provides an affordable solution for e-commerce startups to build a powerful webstore with an appealing interface and the best features. It brings the best marketing technology within the reach of startups to spread the word about their ecommerce ventures. Shopify is easy to use and helps small and emerging firms across the world to grow into highly successful ecommerce enterprises. Shopify is a hosted platform that takes care of everything from the modes of payment used to the security of the webstores built on its world-class platform.